I'm back (finally)! So, my third year of medical school has ended up a lot busier than I planned, and I haven't gotten much baking done. 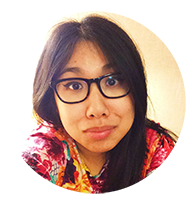 But I think I've got my time management down and I'm going to try to work baking and blogging back into my regular schedule. 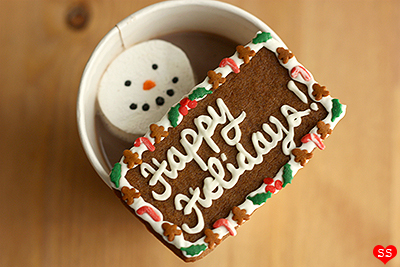 Plus, over winter break, I did some holiday baking, so I have some of that to share as well. 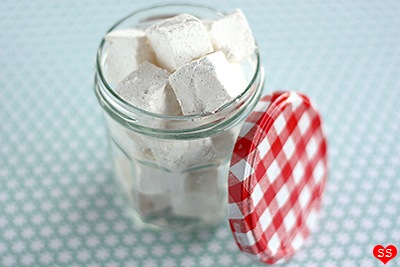 Today I have my go-to recipe for homemade marshmallows. I'm quite surprised that I've never shared it here before. For the most part, I try to share recipes that use minimal equipment, but this recipe requires a stand mixer due to safety (sorry), so maybe that's the reason. Anyway, if you've never made homemade marshmallows, I definitely recommend it. 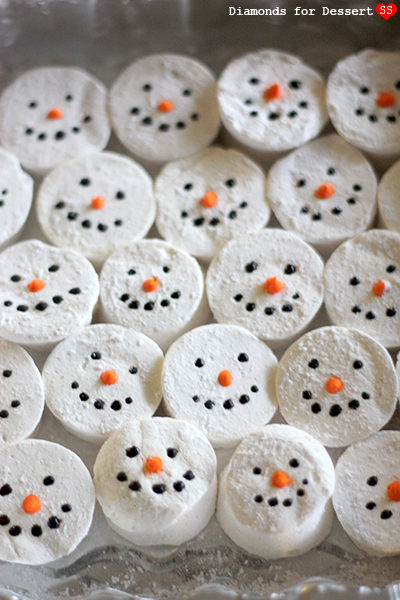 They turn out soft and fluffy and they just taste better than store-bought marshmallows. 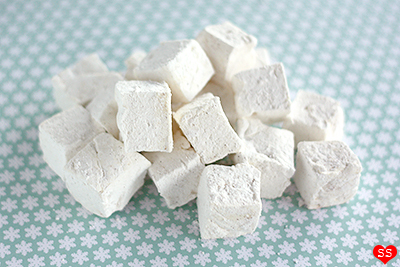 I have another recipe for flavored marshmallows that I'll share in a few weeks, but this recipe makes wonderful vanilla marshmallows, the perfect addition for s'mores and hot cocoa. Usually, when I make these for everyday eating, I'll just cut them up into squares, but for my holiday baking this year, I wanted something more festive. So I decided to make them look like snowmen. I halved the recipe so they'd be thinner and easier to cut into circles. Then I gave them faces with royal icing leftover from decorating gingerbread cookies. I also added a touch of cinnamon to the powdered sugar/cornstarch mixture used to powder the outside of the marshmallows to make them extra festive. 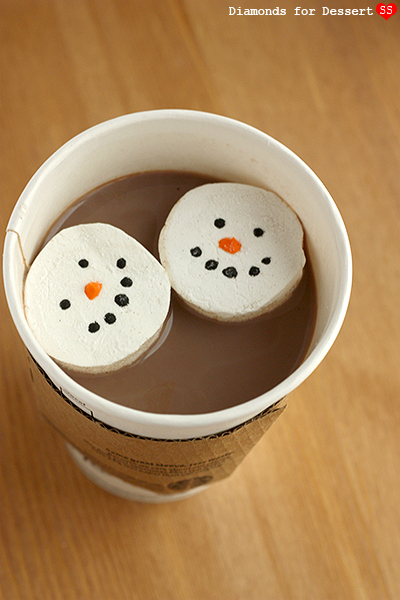 No matter squares or snowmen, they're still equally delicious.